Every day, in almost every field, someone experiences what can only really be described as a wake-up call. They have gotten things terribly wrong. Somehow, they have ended up on the wrong side. The “second brain” in their gut—that ten-billion-nerve knot—tells them that life can’t go on this way. It just can’t. And so, on moral, or at least deeply personal, grounds, they jump the gap. The apprehension that you are in some profound sense “living the wrong life” can seem so sudden as to be literally breath-taking—and then so apt as to have been inevitable. When a novelist or short story writer pulls off this effect, what James Joyce called “a revelation of the whatness of a thing” lands hard on readers, and they understand the world in a new way now. When these kinds of epiphanies interrupt the daily routines of real people, their lives can change on the spot. It’s a compelling thing to see. Computer hackers, having served their time and mulled their crimes, go to work for the FBI to hunt hackers. Christian rockers recant their earlier statements of faith. Archconservatives carve out new professional identities as vocal liberals. If a politician switches parties, we say she has “crossed the floor.” Others in humbler quarters routinely do the same: the ad executive who becomes a media critic, the prosecutor who becomes a social worker, the butcher who becomes a vegan. The shift may be sparked by an external event—the collapse of a marriage, the loss of a mentor, a close brush with death—that sharpens the urge to invest what life remains with meaning. But often the reversal is simply the result of a private crisis of conscience. One day, after years of uncomfortable cognitive dissonance, you can’t quite meet your eyes in the mirror. You balk. 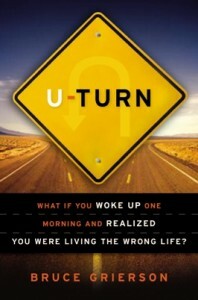 You confront the choices you have made that have taken you incrementally off course. Then, basically, you defect—blowing up bridges behind you, marching into the arms of grateful new colleagues while the shouts of the furious ex-colleagues ring ever more distantly in your ears. There’s a branch of mathematics called “catastrophe theory” that deals with turning points in dynamic systems – pregnant moments where a very tiny change in input results in a huge change in output. Catastrophe theory was popular in the 1960s, and it’s been applied outside of engineering, to epidemics and social systems. 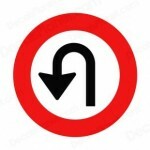 U-Turn asks the question: might the human mind operate the same way? Are the same forces that make a mountainside give way or a prison population riot at play within each of us? It there a kind of tipping point for the human psyche, a hinge moment where we either snap or transcend? Where we go crazy or ignite with new purpose? It’s easy to get the sense these days that you’ve stumbled into a party where the punch is spiked with some powerful drug that dramatically alters identity. The faces are familiar, but the words coming out of them aren’t. Something has happened to a lot of people you used to think you knew. They’ve changed into something like their own opposite. There’s Bill Gates, who these days is spending less time earning money than giving it away–and pulling other billionaires into the deep end of global philanthropy with him. There’s historian Francis Fukuyama, leading a whole gang of disaffected fellow travelers away from neoconservatism. And in the back, humming Give Peace a Chance, the new Nicaraguan President, Daniel Ortega, former head of the Marxist Sandinistas. The comandante has come around on open economies and free trade and is courting foreign investment as the way out for his nation’s poor. From modest recants–Oprah Winfrey on James Frey, NBA commissioner David Stern on leather balls, Rupert Murdoch on global warming–to full-on ideological 180s, reappraisal is in the air. The view long held by social psychologists that people very rarely change their beliefs seems itself in need of revision.